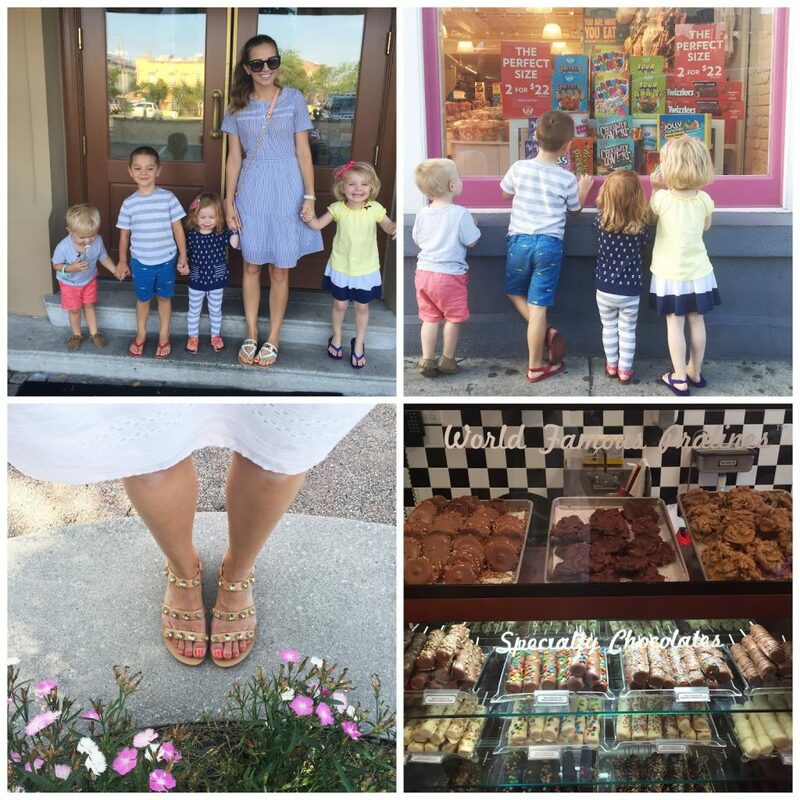 Last month we took a family trip to the South. My sister, Janssen, lives in North Carolina with her family, and since her husband was graduating and they are soon moving back to the West, we wanted to visit before they moved away. And while we were there, of course we couldn’t miss the chance to visit a few Southern states and make a big trip out of it. 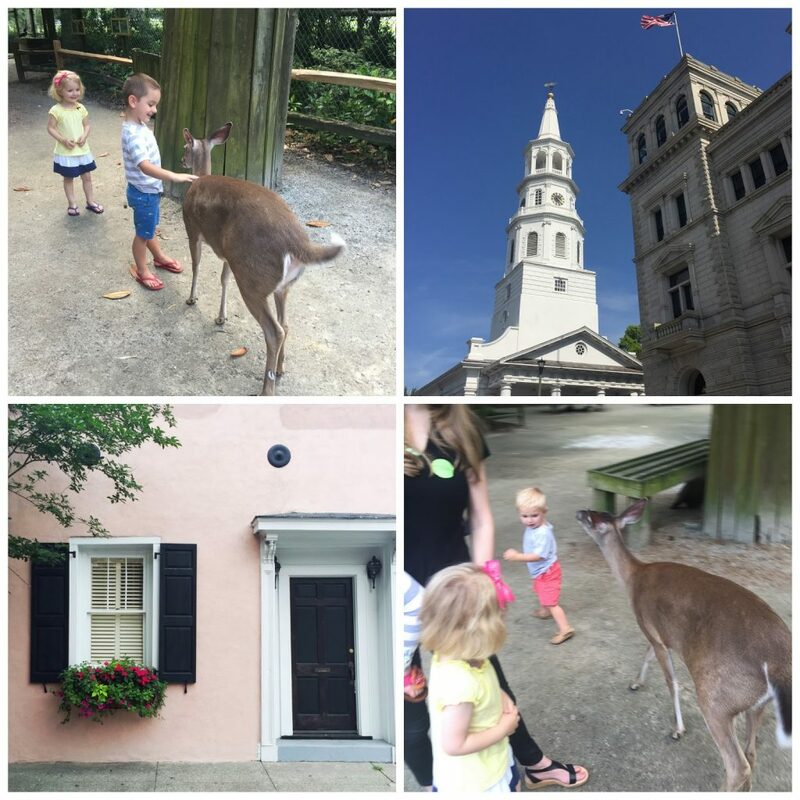 Here’s the recap for our time in Durham (where my sister lives), our quick stop in Myrtle Beach, and the few days we spent in beautiful Charleston. We also used our GoPro to make a fun video, but it’s not quite ready yet so I’ll have to save it for Part II! 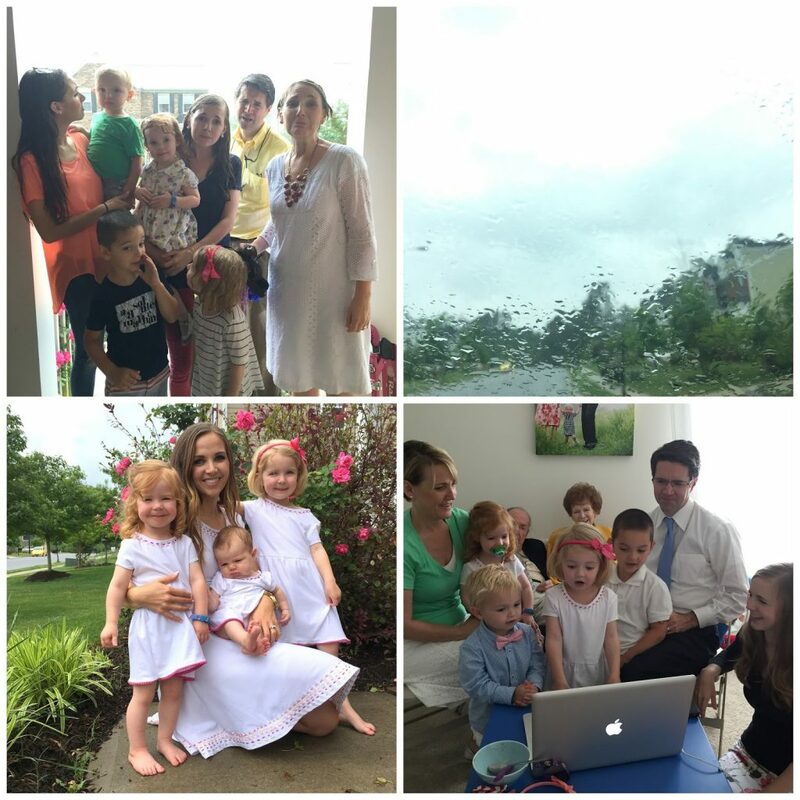 The first few days were a total whirlwind, traveling from one side of the country to the other. 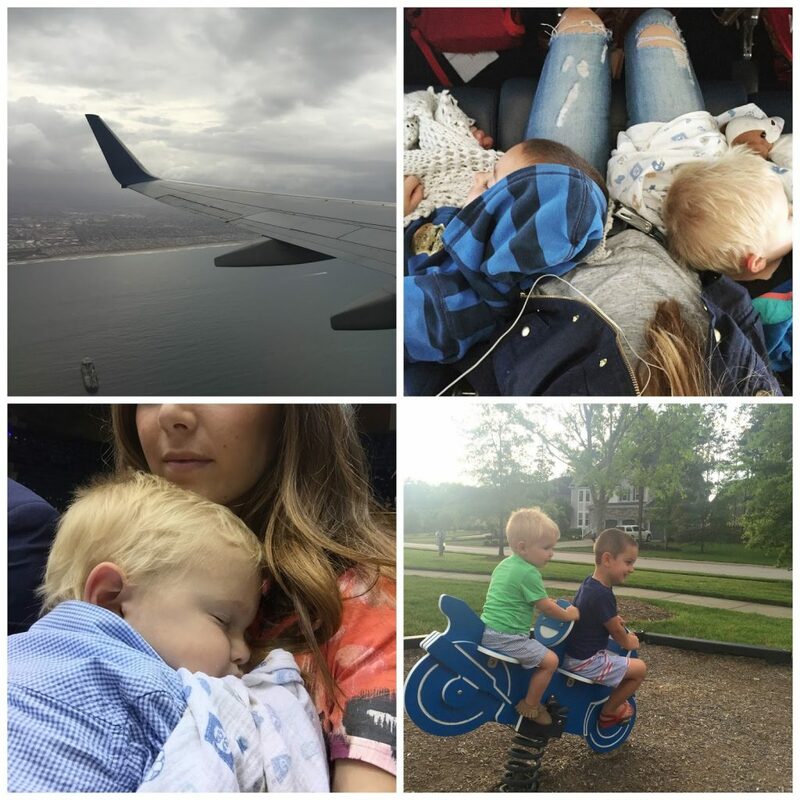 The boys both slept on the plane (meaning I could freely watch reruns of Downton Abbey in peace), and Fos had the hardest time with jet lag once we arrived. He slept through almost all of my brother in law’s graduation ceremony, and went to bed early every night (we weren’t complaining). The following day, Sunday, I gifted these handmade dresses to my nieces, and then realized I’d packed my handmade Mother’s Day dress, so we were all twinsies! We also got the chance to Skype with my brother who is serving his mission in Pittsburg, PA. The highlight was the babies all singing “I am a Child of God” to him at the end. We were all in tears! Despite the crazy storm, which was currently right on top of Myrtle Beach, we headed down there anyway (and drove through the eerily quiet and calm eye of the storm at one point…so strange). But Monday turned out to be beautiful all morning and we spent the day on the beach and at the pool. The next morning we headed off to Charleston. Our first stop was at Cafe Fork for lunch where I had my first taste of hush puppies and fried green tomatoes. Plus, the best gnocchi ever. After lunch we met my sister at beautiful Magnolia Plantation. There were lots of tour options within the plantation, but we chose the 30 minute train ride that took us through the whole plantation and kept us slightly protected from the scorching heat. 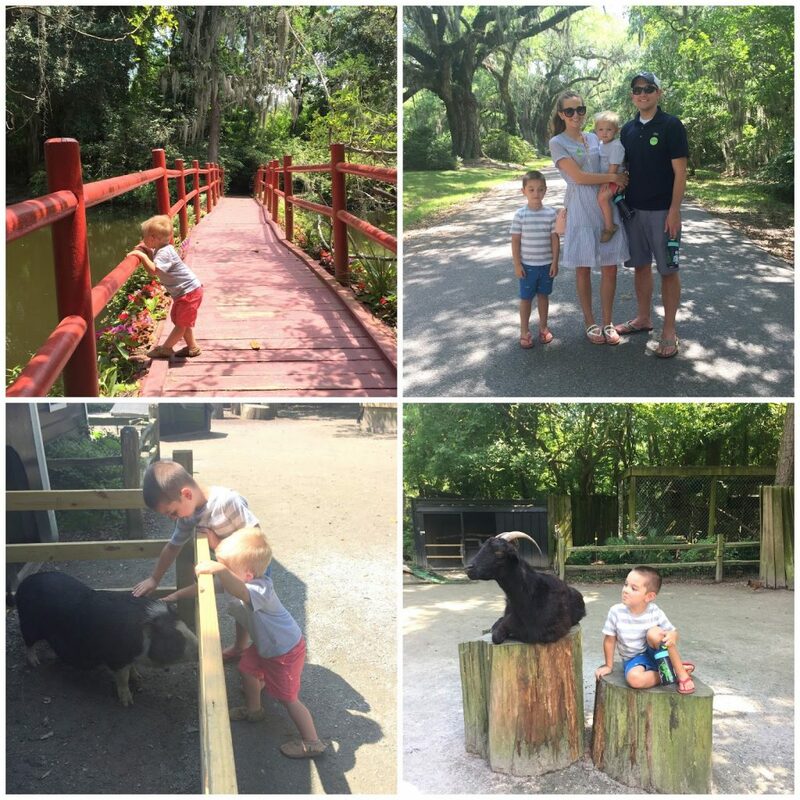 We spotted tons of alligators, birds, turtles, frogs, and more, and the kids absolutely loved it. After that we hung out in the air conditioned gift shop for twenty minutes, then headed to the petting zoo, which the boys loved until a peacock hissed and shook its open feathers at Fos, and a deer tried to come sniff him. Then he was done. The great thing about traveling with your sister is that you swap children and take turns doing date nights (why are date nights on vacation so much better than regular date nights? They just are). We got a lot of crazy looks as we wandered the streets with four tiny children. 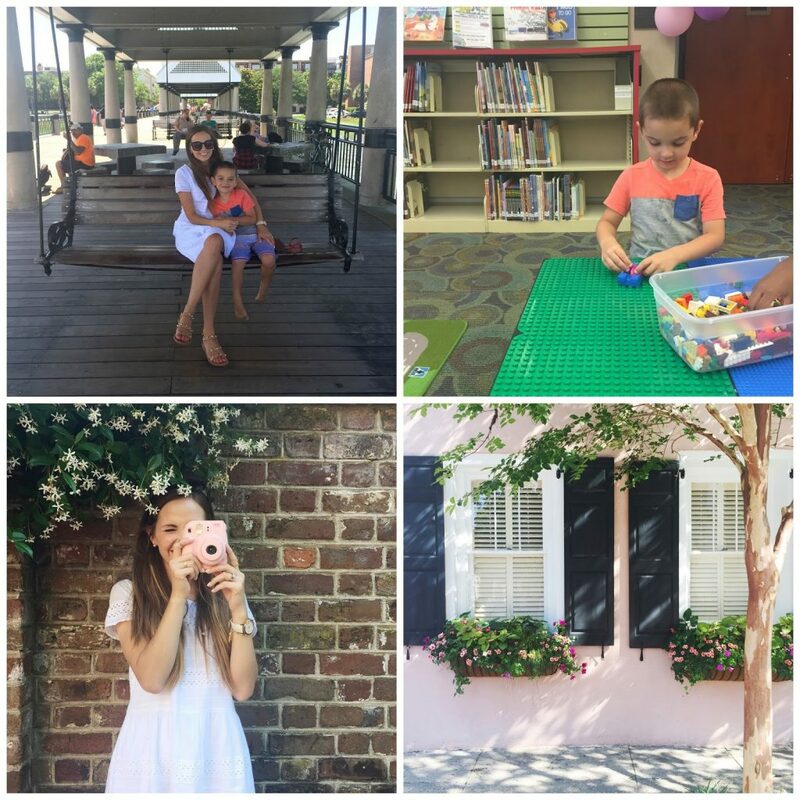 The following day, Wednesday, was another full day in Charleston. We spent the morning on the water with the boat ride over to Fort Sumter. It was a twenty or thirty minute ride, and the kids loved it, especially since they could roam free on the boat. 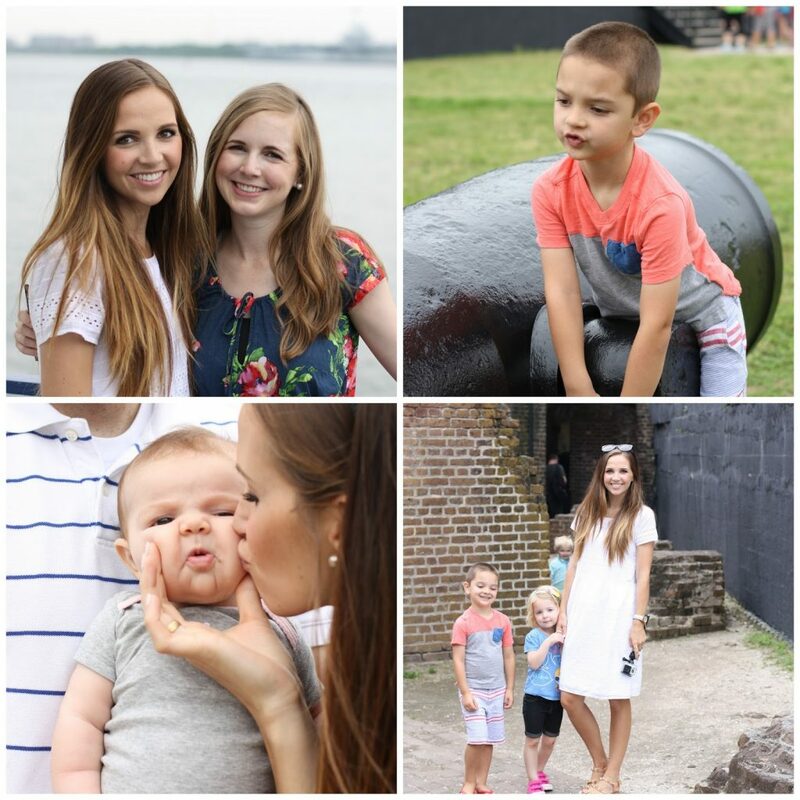 As a family of Civil War fans, we loved visiting the Fort, and B especially loved checking out all the cannons and pretending we were under attack! white dress outfit details here. 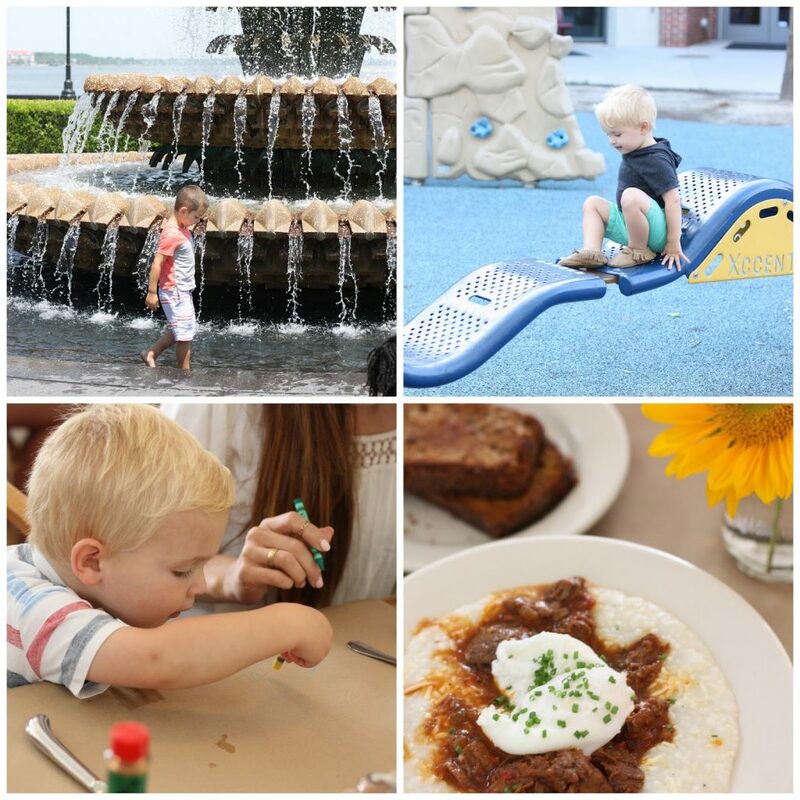 That night was our turn for date night and Cypress Grill definitely didn’t disappoint. Amazing food, and of course we had to get the chocolate molten cake for dessert (my favorite). Afterward, we walked down to the water and gawked at all the beautiful homes, including Rainbow Row, which was stunning at sunset. As I posted on instagram through the trip, tons of people recommended Hominy Grill. So we stopped there on our way out of town the next morning and it definitely didn’t disappoint. I got the egg biscuit with double cut bacon (except I didn’t realize until after I ate the entire thing that they forgot to put on the bacon) and the house made pumpkin and banana bread. Delish. 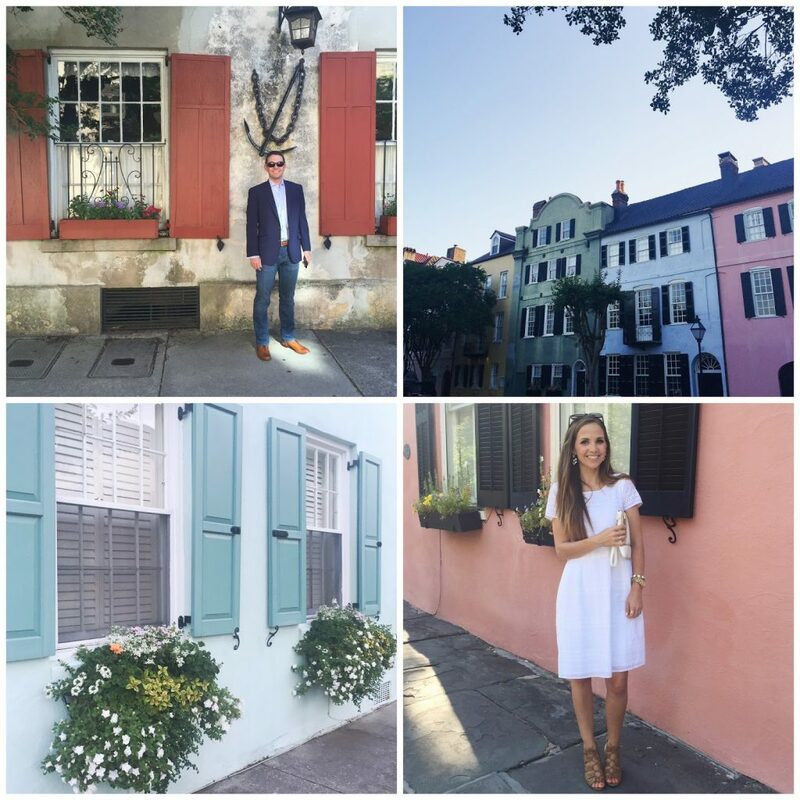 Out of all the places we went during our time in the south, Charleston was definitely my favorite. 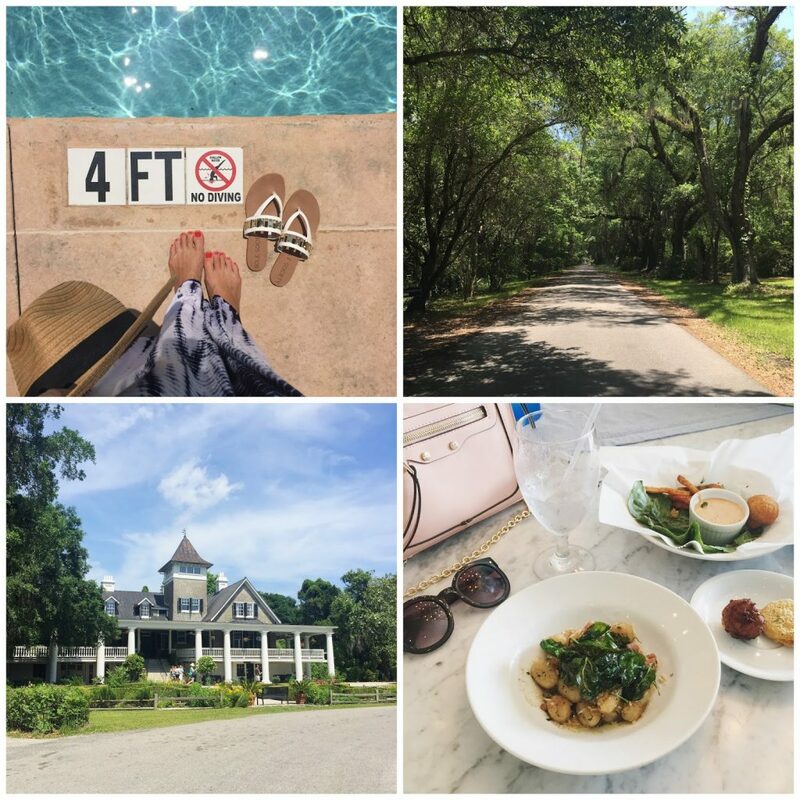 It was so full of history, so well kept, family friendly, tons of things to do, so many great restaurants — I would go back in a second. Stay tuned for part II (which isn’t quite as long) soon! The BEST trip! So glad you came. I wish we had been there with you all! Looks like SO much fun! Love all the pictures of the babies! I loved getting to see all your pictures on instagram! It looks like it was such a fun trip! What a fun trip! 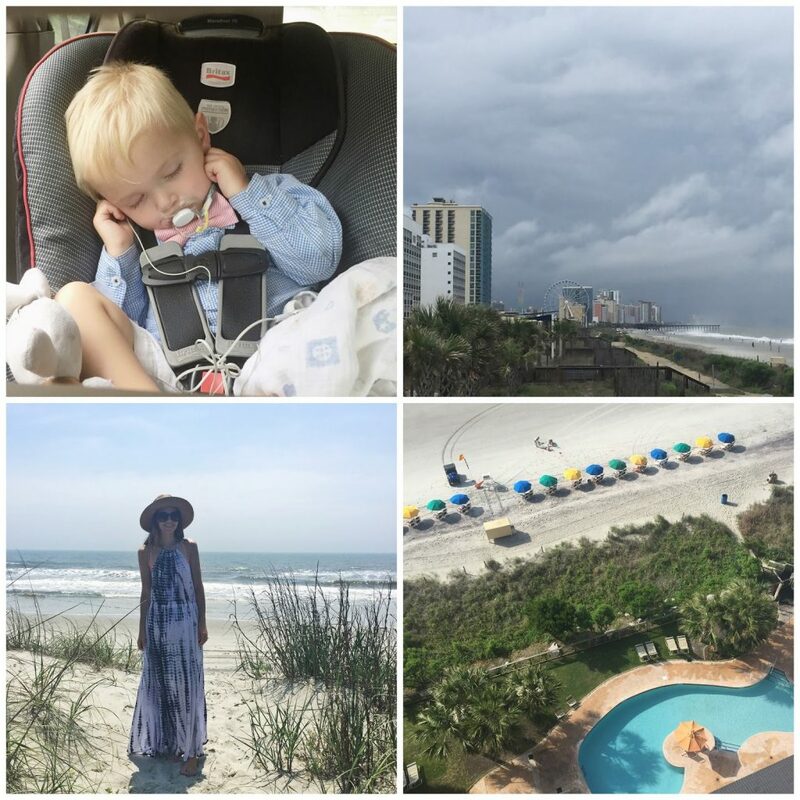 We are headed to Top Sail Island in August – I can’t wait! Being from South Carolina myself, I understand how much fun you had in Charleston. Charleston is my favorite city in all of America. It is so stunningly beautiful. I don’t think I could ever get enough!